Varkey Vithayathil, 84, a Redemptorist, bishop, cardinal and Major Archbishop for the Syro-Malabar Church (in India) died suddenly today of a heart attack at 2pm Ernakulam time. 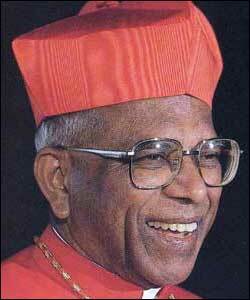 Cardinal Vithayathil was ordained a priest in 1954 and ordained a bishop in 1996. In 1999, he appointed the Major Archbishop by Pope John Paul II. The same pope created Vithayathil a cardinal in 2001 giving him the title of San Bernardo alle Terme. Trained in Canon Law at the Angelicum, Vithayathil taught the subject in the Redemptorist seminary. For a term he served as the Father Provincial of the Redemptorists of India and Sri Lanka and later serving as the Apostolic Administrator of a Benedictine abbey of monks. Cardinal Vithayathil was a supporter of the 5th Marian doctrine, that of Mary’s role in salvation history as the co-redemptrix. Pope Benedict’s telegram upon hearing of Cardinal Varkey Vithayathil. This will mean the Church will have a third election of a Major Archbishop in 2011. The Maronite and Ukrainian Greek Catholic Churches have just recently elected new heads. 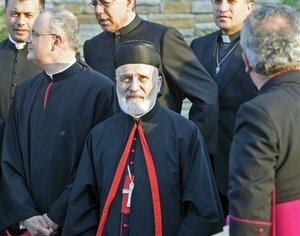 Today, Pope Benedict XVI accepted the petition of His Beatitude, Patriarch Nasrallah Peter Sfeir, cardinal, to retire from his pastoral leadership as the Father of Maronite Church. The resignation was speculated a few weeks ago. Here is the letter of Pope Benedict to His Beatitude (in French until an English translation is given). John Patrick Cardinal Foley, 75, Grand Master of the Equestrian Order of the Holy Sepulchre of Jerusalem retired from his work in Rome due to the illnesses of luekemia and anemia. He returned to his native Philadephia. His return to the USA was swift after submitting a letter of resignation to the Cardinal Secretary of State on February 8 and meeting with His Holiness, Pope Benedict on February 10; he was home on the 12th. Foley is the former editor of the Phildelphia Catholic newspaper The Catholic Standard & Times and the former President of the Pontifical Council of Social Communications. The Cardinal held his position at the Holy See for 23 years. His Eminence freely admits his physical diminishment but is facing his illness with courage and with Christ at the center. His diagnosis was received in September 2009. Read the CNS story here. 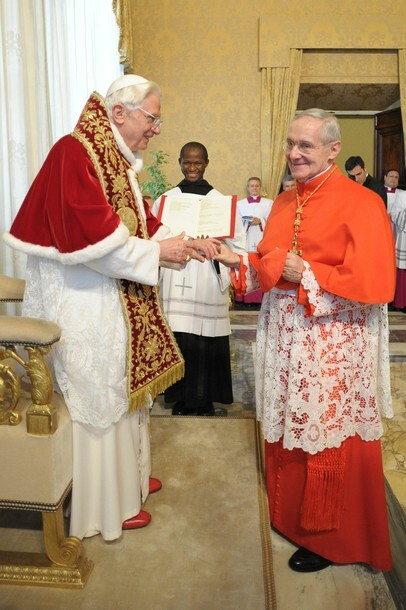 With the Cardinal Agostino Cacciavillan, 84, who requested to be made a cardinal-priest and because of his age, the College of Cardinals gets a new proto-deacon (that is, the first among the deacons of the College). Annuntio vobis gaudium magnum, habemus Papam: Eminentissimum ac Reverendissimum Dominum, Dominum N. (first name) Sanctaee Romanae Ecclesiae Cardinalem N. (the surname) qui sis nomen imposuit N. (the papal name). The French born proto deacon was ordained a priest of Bordeaux in 1969 and was ordained a bishop in 1991. He has served as Secretary for Relations with States in the Secretariat of State till 2003 when he was created a cardinal and appointed the Church’s archivist and librarian. In 2007, Pope Benedict named Tauran the President of the Pontifical Council for Inter-religious Dialogue. Transitioning from Husar to new era in the Ukrainian Church …? In the past weeks we’ve seen the Pontiff accepting the resignation of His Beatitude Cardinal Lubomyr Husar, 78, as the Major Archbishop of the Ukrainian Catholic Church. 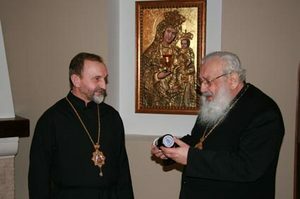 Bishop Ihor Voznyak is the temporary administrator of the Church until a new leader is elected.